TOQUERVILLE — An early morning fire destroyed a home and displaced a family that evacuated the blaze with only the clothes they were wearing. 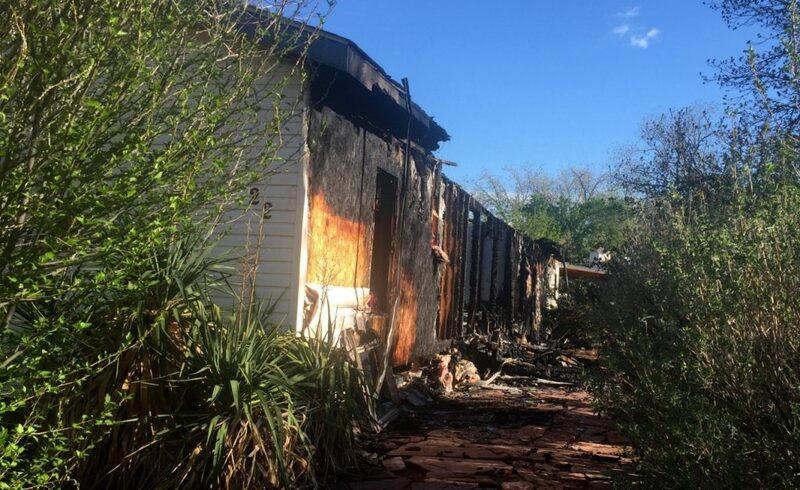 On Tuesday at 1:50 a.m. firefighters from the Hurricane Valley Fire District responded to a structure fire reported on Pecan Street in Toquerville involving a single-family residence after a bystander called 911. Upon arrival, fire crews were faced with flames coming from the residence that was fully involved in the blaze. 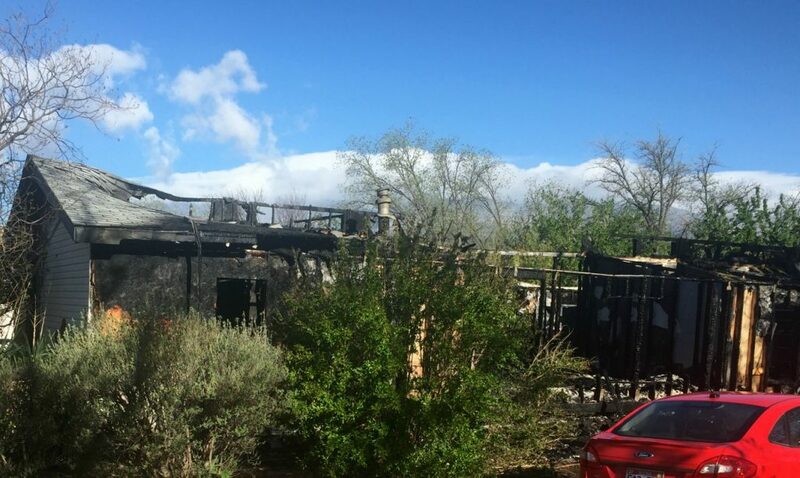 After confirming that all occupants were safety evacuated and the home unoccupied, firefighters began attacking the fire, Deputy Chief Kevin Gildea of Hurricane Valley Fire District said in a statement released Tuesday. 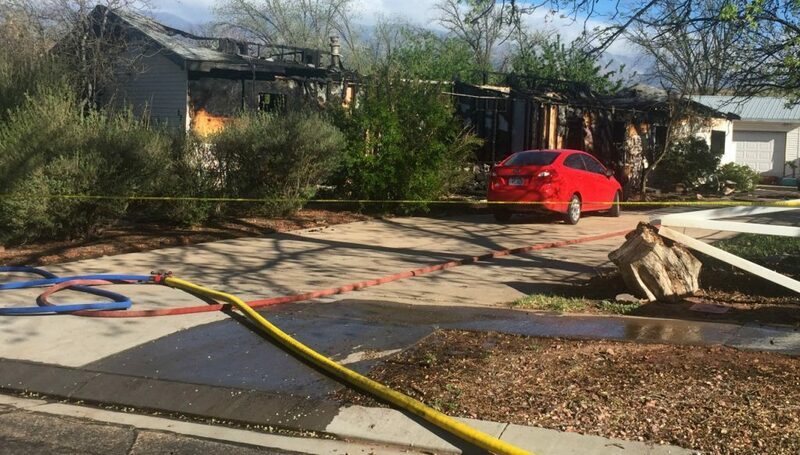 Firefighters from both Hildale/Colorado City and Leeds fire departments soon joined crews on scene, and together fought the blaze that was fueled by high winds, which hampered firefighting efforts and increased the risk of it spreading. With the help of multiple firefighters and additional equipment the blaze was contained within 40 minutes, Gildea said. Firefighters from the assisting agencies were released shortly thereafter, while Hurricane Valley fire crews remained at the residence for more than seven hours making sure all embers were completely extinguished, and any residual smoke removed from the area. Once the scene was secured fire crews were released and were able to return to the station by 9:30 a.m.
Fire officials have determined that the home is a complete loss, Gildea said, along with a vehicle that was parked just feet from the structure that was also destroyed by the fire. The residents were displaced as a result of the fire, Gildea said, and the family were left with “only the clothes they were wearing when they evacuated,” he said. 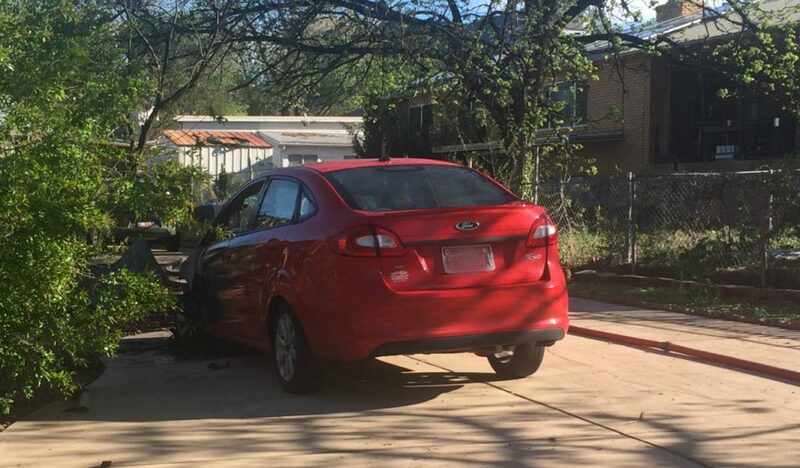 The Red Cross responded to the scene and is providing aid to the residents, along with “many neighbors who also provided assistance and have opened their homes to the displaced family,” the deputy chief said. 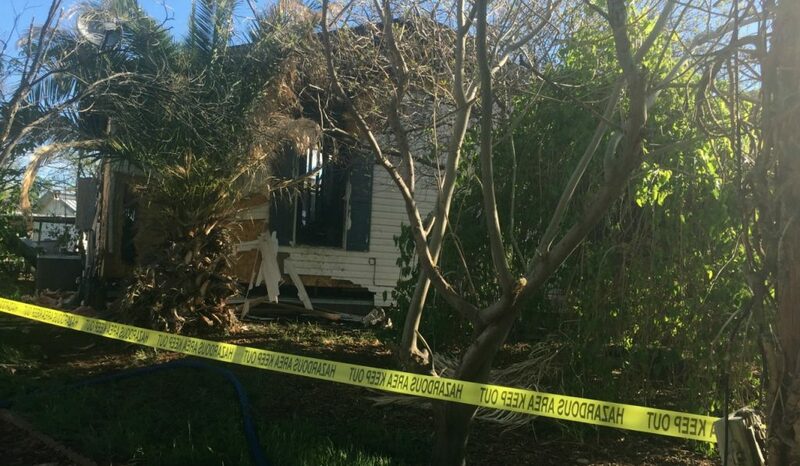 The losses incurred as a result of the fire are expected to reach $250,000, and the investigation that began in the early morning hours and has continued throughout the night is ongoing, Gildea said. The cause of Tuesday morning’s fire remains undetermined at the writing of this report. Hurricane Valley Fire District responded with multiple engines and a ladder truck, assisted by Leeds Fire Department that responded with one engine, along with an engine and firefighters from Hildale/Colorado City Fire and Rescue.